With the fast action and adrenaline-filled scenes of “Furious 7” heading to theaters tonight, North Texas’ own drag strip is racing its way to the top. The North Star Dragway is the only track in Denton. It hosts a diverse set of racers, styles of cars and competitions to provide a variety of events and races for motor sport aficionados. Media director of North Star Chris Graves said the track and the competitions it holds are unique and meant to benefit the community. Drag racing is drastically different from other forms of racing that may be more prevalent, such as NASCAR. Graves said unlike NASCAR, drag racing is over quickly, with drivers going short distances at extremely high speeds. Not only is the race itself different, but the cars are built differently than traditional race cars to make sure they can reach the highest speed possible in seconds. UNT automotive services supervisor Rickey Stinchcomb is a drag race fan. He said even though drag racing is drastically different from other forms of racing, it keeps him on the edge of his seat. This past weekend, North Star held what it called Match Race Madness, one of its biggest events of the year. Because the track closes in winter due to unsafe conditions, this was its first big race of the year. 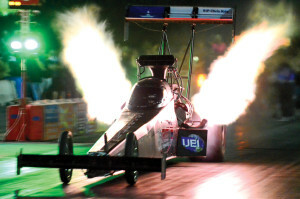 Howard Farris, with Farris Racing Engines, said he had a driver participate in the North Star event this past weekend. Graves said planning an event like this starts months in advance. He said he has to manage things like booking people to race and gathering snacks for attendees. Graves said this involves making sure people are not on the track without permission. This goes for people covering the events on social media and in print. Beside Match Race Madness, North Star tries to hold events every weekend. On most Fridays, for $10, there is an open test and tune where anyone who wants to learn how to drag race, try out a car or spectate can attend. 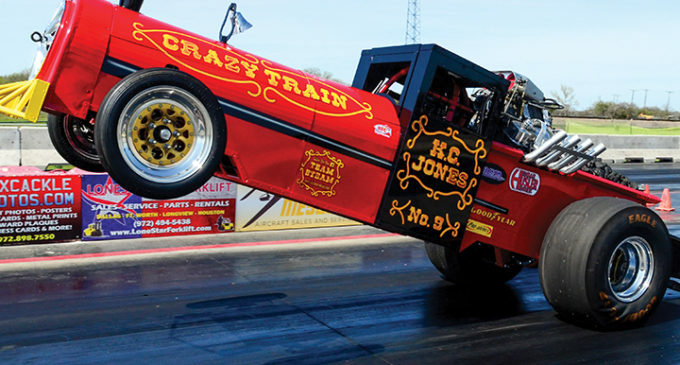 On Saturdays, the dragway hosts feature events that cost $20 and are free for kids 12 and under. Since operation under new management began in the summer of 2012, North Star has slowly garnered a larger following. Graves said this past Saturday was the biggest crowd it has had in three years. However, he said he wants to try and reach out to his alma mater: the UNT community. Stinchcomb said he is glad to have a track in Denton, because it offers a family friendly environment where people can enjoy themselves. “It gives the kids a place to race other than the streets,” Stinchcomb said. Above all else, Graves said the goal is for the track to feel like a safe haven for anyone in the Denton community. Whether that is someone who is an avid fan of racing or someone who has never heard the tires screeching on a racecar, he wants people to feel at home.